Unlike a corporate job where the employees adapt to the culture of the company, as a business owner, we need to learn to adapt to the culture of each client, and that can be challenging as everyone has their own style of working. I found it’s important to set guidelines from the beginning. Teach the client how to work with YOU as opposed to them taking the lead. We always ask what kind of team the client has, how big is the staff and what everyone’s role is. We generally don’t work with a client who doesn’t have a team. There are way too many things to handle with an event and if the client doesn’t have a staff they will feel overwhelmed and stressed out and there’s nothing worse than a stressed-out client. It’s our goal to keep our clients calm through the planning process. I recently had a client say “oh my gosh, you’re like my event therapist.” I laughed and then bought the domain. I figured what the heck she might have something here. We are constantly pulling our clients off a ledge; it’s the nature of producing events. A big part of the event business is dealing with people whether it’s clients, their team, your own team, the venue, the vendors, speakers, sponsors, or the attendees. It’s an important piece to master in order to become a successful planner and business owner. Set boundaries. I always tell my clients they can reach me anytime but let’s be realistic, I like to sleep and have a personal life. Once you answer a text at midnight, they will continue to text you at all hours. You need to set the expectations and the routine on how to work with you right from the start. We share a Google Drive workbook that allows the client to view the status of the work at anytime. This helps cut down on the number of phone calls, emails and texts that we receive. We get close with our client’s team at times because we spend so much time working with them. This can be challenging when there is internal conflict with the client and their team. You never want to engage in any of the politics that are going on internally, especially writing any negative comments in emails. Remember, the client is the client at the end of the day; you need to stay neutral at all times. So…in the initial consult, tell your potential client how YOU work and what YOU expect from them and their team so everyone is on the same page. It’s important that you remain in control of the process of the event as your name and reputation are on the event. WE’D LOVE FOR YOU TO SHARE THIS IN YOUR NEWSLETTER OR WEBSITE BUT PLEASE INCLUDE THE FOLLOWING COMPLETE INFORMATION: Event Planning Expert, Entrepreneur, and Coach, Annette Naif, CEO & Creative Director of Naif Productions. Naif Productions is a strategic event planning, design and production firm specializing in corporate, live coaching sales events, social, non-profit, and weddings. Based in New York City, we produce events worldwide from Fortune 500 clients and coaches to families and charities. 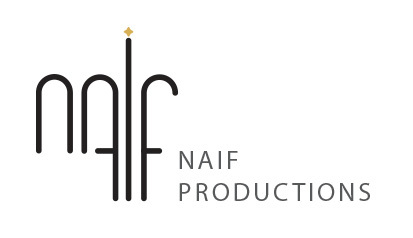 Naif Productions specializes in helping clients attain their goals, realize return on investment, and achieve the most unique, creative experiences. Since 1986 Annette Naif has been designing and producing custom events, helping clients create their unique style that translates into a memorable and profitable experience. Annette spent 17 years producing events in the motion picture industry where she helped coordinate numerous productions for film and episodic television programs. Since then Annette’s been running her own event production company, coaching other event planners, teaching an event operations and production course at NYU, and now is the CEO & Creative Director of Naif Productions. Get your FREE eBook and discover the "7 Biggest Mistakes People Make When Planning An Event (And Tips To Avoid Them"
Plus, you'll also receive a FREE subscription to our Newsletter!